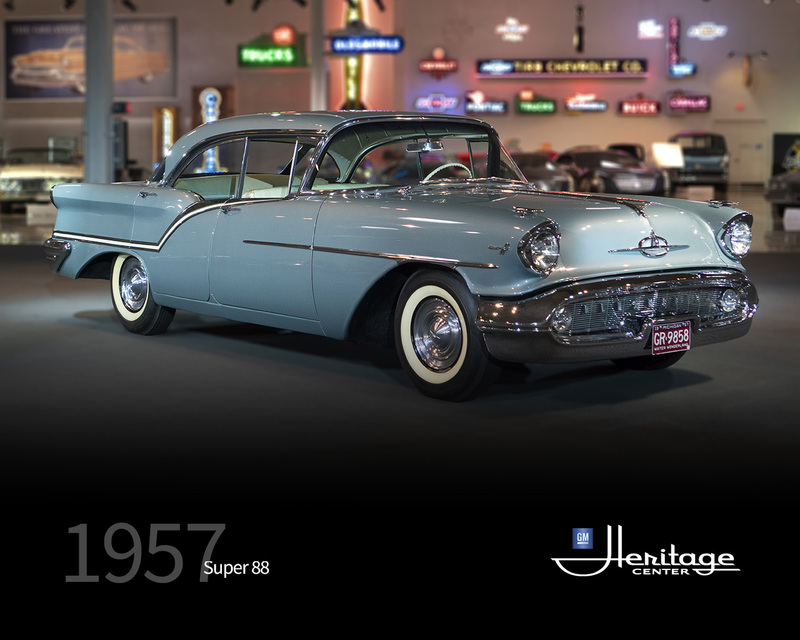 Oldsmobile’s weren’t raced much by 1957 and didn’t need to be, having become consistently good-selling medium-priced cars known for innovation, as with the 1957 Oldsmobile Super 88. Even so, one Lee Petty and his son Richard drove Olds convertibles on the sands of Daytona and hardtops at other stock-car venues. And if a little heavy in street form, 1957 Olds could still be quite rapid with a new performance option called J-2. At 300 hp, it was enormous power in 1957. Available on any model at just $83, the J-2 included a trio of two-barrel carburetors, plus higher compression and low-restriction air cleaner to take the 371 cid “Rocket” V8 from 277 stock hp to 300 ….good for 0-60 mph in under 8 seconds. There was also a racing setup with radical camshaft and heavy-duty internals, but at $385, it was seldom ordered. The J-2 added spice to an Olds lineup that didn’t look new but was. Basic appearance and even wheelbases stayed the course of 1954-1956, but bodies were two inches lower and longer, so styling was a bit more rakish. 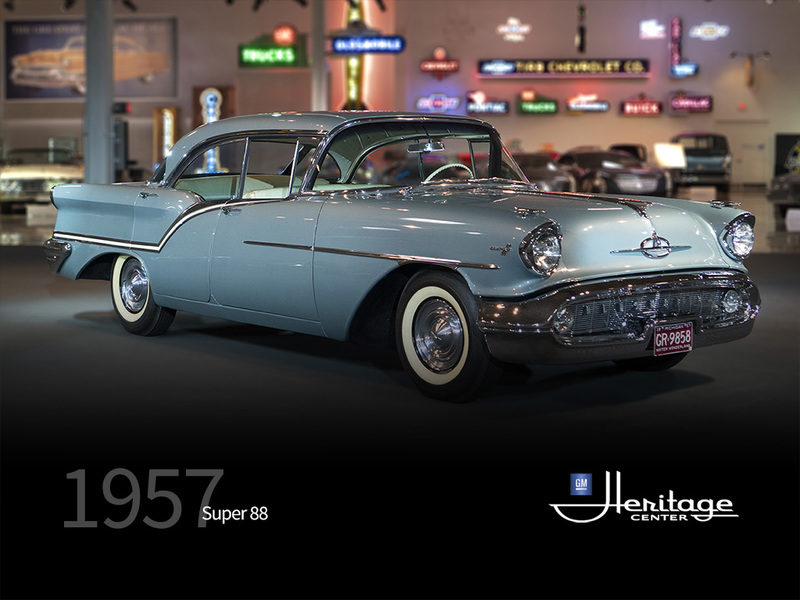 Olds turned 60 in in 1957 and celebrated by adding models, including a convertible to the base Golden Rocket 88 series to join a Super 88 and Starfire 98. Olds produced a total of 398,569 vehicles in the 1957 model year and of that built 40,914 Super 88 Holiday Sedans.